“A rose by any other name would smell as sweet.” This we know. But, the rose’s name has become synonymous with love and friendship, so we appreciate being able to refer to it when we’re pondering these thoughts for a special person. The rose is a flower that can be given to express innocent love, deep and true love, commitment, gratitude, and dozens of other feelings that we have for others. It’s long been referenced in history as a flower symbolic of many emotions, and it’s a bloom that takes on even more meaning when chosen in certain colors. We love roses. We adore them in many varieties and scents that await to be explored, given, and cherished. If you love the rose as much as we do, and even if you’re on the fence about the rose, here are a few fun facts that will hopefully inspire you to buy roses soon for someone special or for yourself. The variety of roses that one can buy, or grow, is expansive. There are garden roses, spray roses, hybrid tea roses, carpet roses, and many other types of roses that offer varying degrees of fragrance and varying hues for your enjoyment. All roses have stems, but some are thin and bendy while others are long and thick. Long-stem roses are some of the most popular types of roses for giving. They feature a large, single rosebud atop a long stem. Rose petals make up the head of the rose. Premium roses, like long-stem roses, have large heads. Some roses, like African roses, have multiple small heads, or buds, on one stem. Long-stem roses that you’d typically find in a floral shop usually come from farms in Ecuador, Columbia, and Guatemala. Sweetheart roses, which have small buds and stems, often come from Tanzania, Kenya, Columbia, and India. The cost of roses depends on many factors like season (red roses rise in price during February), color (hybrid roses go for a premium), and type (long-stem roses are some of the most expensive). The abundance of colors that the rose is available in makes this flower perfect for giving for any occasion. Need Christmas flowers? Choose white roses. Looking for a thank you gift? Opt for yellow roses. Roses can be ideal flowers to give for any reason and to express any sentiment. “A rose by any other name would smell as sweet.” This we know. 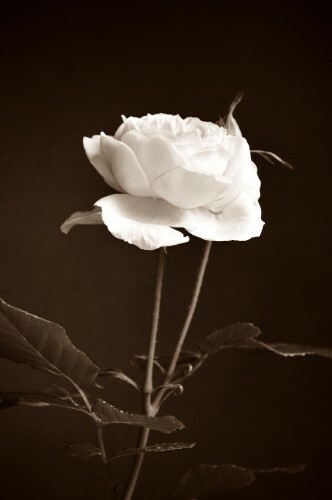 But, the rose’s name has become synonymous with love and friendship, so we appreciate being able to refer to it when we’re pondering these thoughts for a special person.The rose is a flower that can be given to express innocent love, deep and true love, commitment, gratitude, and dozens of other feelings that we have for others. It’s long been referenced in history as a flower symbolic of many emotions, and it’s a bloom that takes on even more meaning when chosen in certain colors.